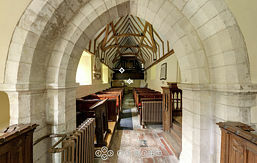 I’ve just completed a 360° panoramic tour of St Matthew’s Church, Winchester. The church is quite small so only needs four views: Nave, Chancel, Vestry and Gallery. The earliest parts of the church date to about 1200, but like so many English churches it probably stands on the site of an earlier Saxon building. The church has recently been lovingly restored and is certainly worth a visit. The photos were stitched using PTGui and the tour was made using the latest version of Pano2VR, which I must say is a joy to use. The old version was good, but the new version offers so many more features. This entry was posted on Wednesday, September 6th, 2017 at 3:43 pm and is filed under Panorama, Photography. You can follow any responses to this entry through the RSS 2.0 feed. Both comments and pings are currently closed.